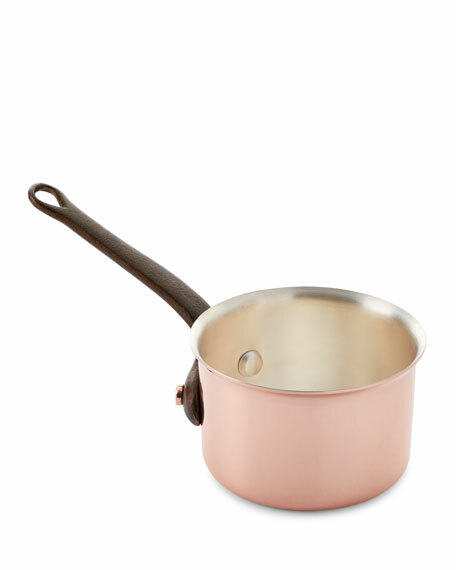 Duparquet Copper Cookware Solid Copper Sauce Pan with Silver Lining, 5.5"Dia. Duparquet Copper CookwareSolid Copper Sauce Pan with Silver Lining, 5.5"Dia. Handcrafted and American-made sauce pan with pouring lip. Solid copper with cast iron handles.